We love the friendly banter that happens on the golf course. Want to have a little fun with a golf partner. 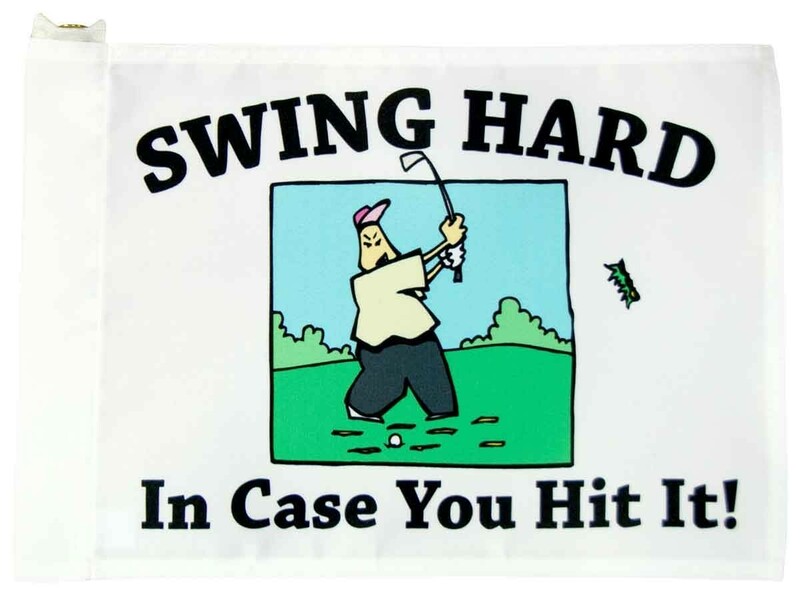 Give then the Swing Hard in Case You Hit It Golf Flag. The tube style Insert flag is designed to slip over the top of a standard 7-foot golf pin. The flag is regulation size: 14 inches X 20 inches.